The one question everyone wonders come tax season is: where does all of my money go? And now, there’s a tool that will give you a breakdown to let you know how much of your money is going to health programs, Social Security and more. The Where Do My Taxes Go website gathers information such as how much you make each year, which state you file taxes in, etc. to come up with an itemized look at where your money will be going based on the proposed 2019 federal budget. In this scenario, approximately $4,440.69 would go to Social Security while $2,534.92 would go to the Department of Defense. Of course, this will vary depending on how much you make each year. 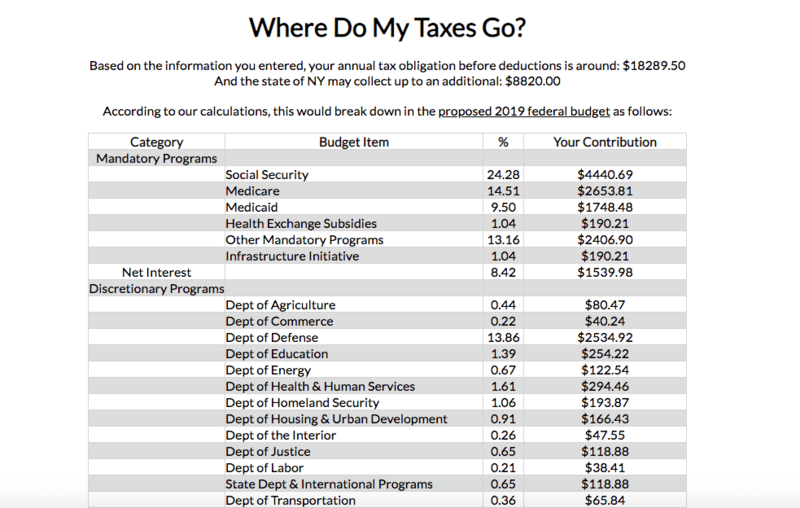 This calculation is for federal taxes and doesn’t include local taxes based on where you live, so this isn’t an exact breakdown of where every single penny of your money is going, but it’s certainly in-depth enough to give you a good idea of how those tax dollars are being put to use. The site also tells you a lump sum estimation of how much you can expect to pay in state taxes, since those vary wildly. While it varies from state to state, most state taxes go towards education and health care programs, according to the Center on Budget and Policy Priorities. There’s also some money allocated to transportation, corrections facilities and public assistance programs, the outlet reports. 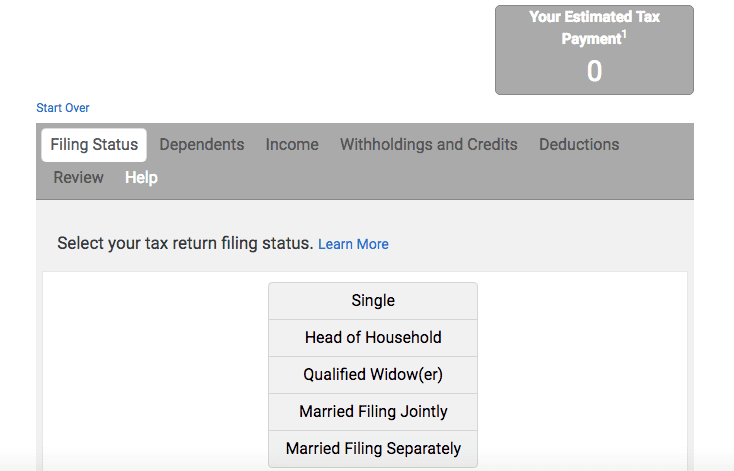 All you have to do is answer some general questions about your marital status, your deductions, your salary and a few other things for efile.com to generate an idea of how much you’ll owe or what your tax return amount might look like. It’s always a good idea to be aware of what you’ll have to pay or be owed by the IRS, and knowing exactly how your money’s put to use will make paying your taxes even easier. Consider it your due diligence in being an informed citizen.